Leonardo DiCaprio had a private audience with Pope Francis to discuss a cause the two are passionate about — the environment. The Oscar nominee and the head of the Roman Catholic Church met in the Vatican Thursday morning, when they also exchanged meaningful gifts. The Associated Press reports that DiCaprio even broke out some Italian for the private visit, greeting the pope in the foreign language. "Your Holiness, thank you for granting me this private audience with you," DiCaprio said in Italian. DiCaprio gave the pontiff a book of works by the 15th-century Dutch painter Hieronymus Bosch, and showed him a reproduction of the Bosch painting that hung over the actor's crib as a child, "The Garden of Earthly Delights." The painting is a triptych that depicts God presenting Eve to Adam on the left, a landscape of the Earth in the middle and an illustration of hell on the right. "As a child I didn't quite understand what it all meant, but through my child's eyes it represented a planet, the utopia we had been given, the overpopulation, excesses, and the third panel we see a blackened sky that represents so much to me of what's going in in the environment," DiCaprio told the pope. In addition to the book and painting, DiCaprio presented a personal check to use for a charity close to the pope's heart. For his part, Pope Francis gave DiCaprio a leather-bound copy of his papal letter to the church's bishops, "Laudato Si," and his apostolic exhortation, "The Joy of the Gospel." "Laudato Si" ("Praise Be" in English) has been praised by environmentalists for its demand of sustainable and green energy sources as well as its criticism of the world's fossil fuel economy. The letter bemoans pollution, a lack of clean water, loss of biodiversity and climate change. 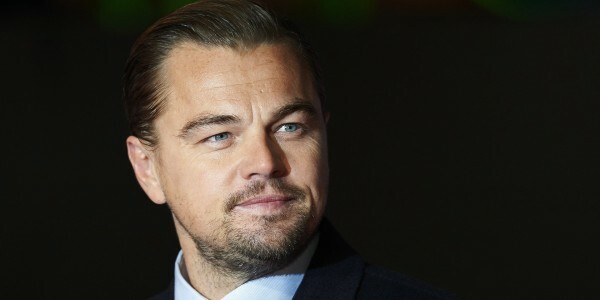 DiCaprio has been a vocal advocate for the environment, and in 1998 launched the Leonardo DiCaprio Foundation to support environmental and sustainability initiatives. See photos of Leo playing gangsters, gamblers, kings and con men during his lively Hollywood career.